What began as a gift to me has empowered me to give many opportunities to others. I have been lending on Kiva for nine years to Kiva borrowers. You can learn more about my start with Kiva here. 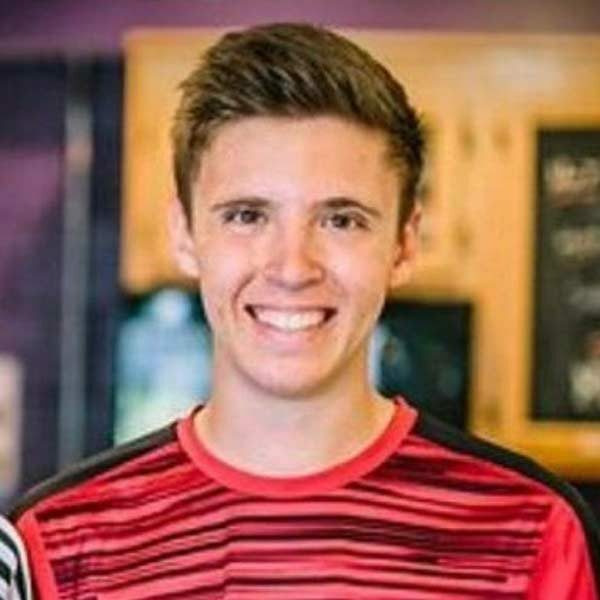 In addition to Kiva Club, I am also a part of Renaissance Club, Student Council, Hempfield Soccer, Dance Theatre, and am involved in my church, LCBC. 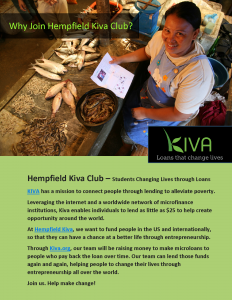 Kiva has given students the ability to impact lives with individual loans of $25 that are repaid and reloaned. 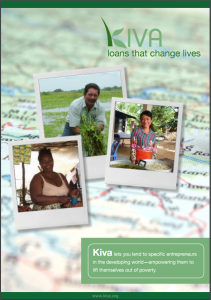 Being a Kiva lender has shown me the power of taking small steps that lead to helping people climb out of poverty.